Our Delicate Whimsical Branch decal would be a great accent in any room! 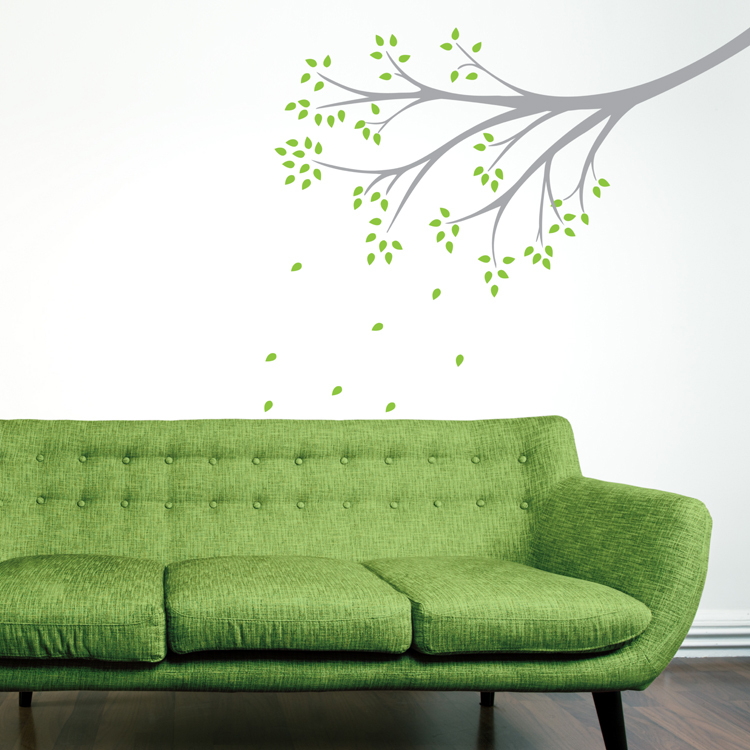 Our wall decals are ideal for offices, living rooms, entryways, classrooms, even your car or glass shower doors! Layout as shown: 42 inches wide by 36.5 inches high. Branch alone: 38 inches wide by 21 inches high. Colors shown - Lime Green Matte and Middle Grey Matte. Available in up to THREE colors of your choice! The branch will come in two sections for easier application. Leaves will come separately so you can create your own look! Preview image only shows a fraction of the leaves you'll receive (200+)! Purchased the "There is only one happiness in life... to love and be loved." quote for my living room wall. The beige color in the color samples is examples what I received, and it works so well with my beige furniture on a "Red Red Wine" colored wall. I chose to modify the quote slightly and not include "in life" when I added it to my wall. It was super easy to apply and looks great! Thanks Dali Decals!! I purchased the "Always Kiss Me Goodnight" for my bedroom and I am beyond in love with the outcome of it! It's artwork and it looks beautiful in my bedroom! I also purchased the teddy bear airplane with my son's name on it for his room and it makes the whole room pop! He absolutely adores it and were so happy with it! I can't wait to order more! THANK YOU!